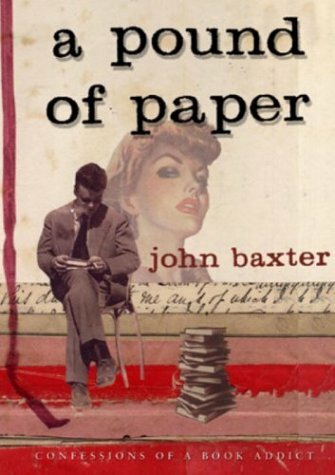 John Baxter's memoir of his book collecting is all the things I like in such a book. It's a quick read, full of interesting little asides and anecdotes about books and people and places. It's also got some top tips for making yourself popular with Parisian shopkeepers. Book collectors are funny people. They appear to attach no value to the words in a book, only to the object itself. They see minor details that most of us miss - a tiny line of numbers close to the spine, an extra zero here or there, a missing errata slip where one should be, and so on. Like record collectors, they pore endlessly over boxes of apparent junk in the vague hope that they just might come across a first edition of something amazing, or something that will fill that last hole in their collection. They hate the internet, by and large. It has removed much of the mystique from what they do and has made it easy for anyone to pass him or herself off as an expert. I suspect that they wish they were private detectives. This is a fun book.